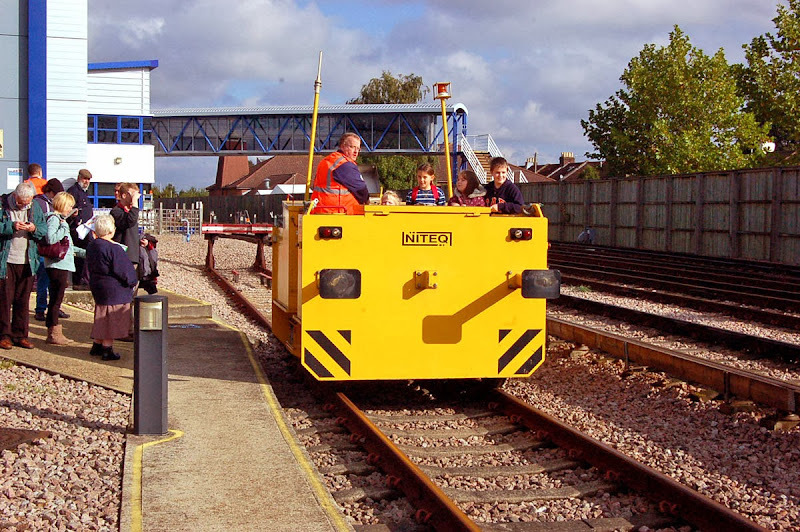 This is becoming something of a Saturday afternoon attraction, now that it can be tracked using RealTimeTrains. 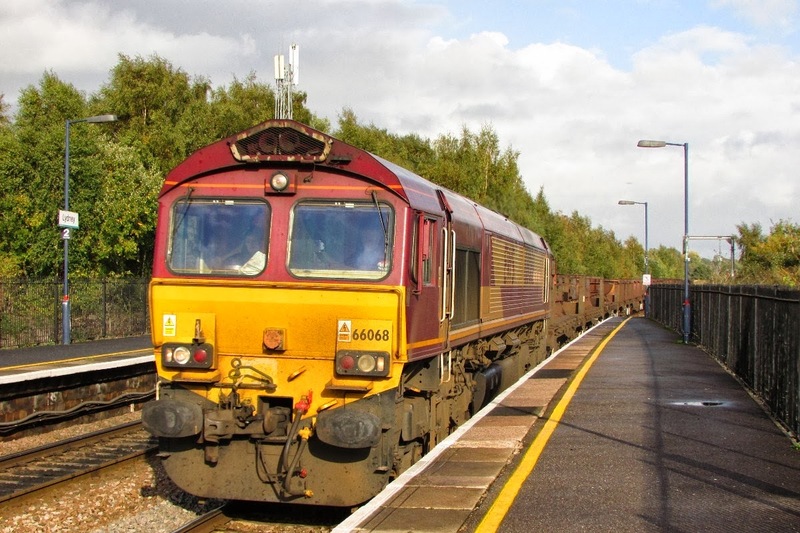 66613 again at the head of the train, this week 6O49 12:39 Theale - Wool. However the clocks change tonight, and after this it's often to be running into poor light by the time it gets to this area, also routing varies, as sometimes the train originates from Angerstein Wharf. HIA 369110 on the rear of the formation. and I am no expert on wagons! 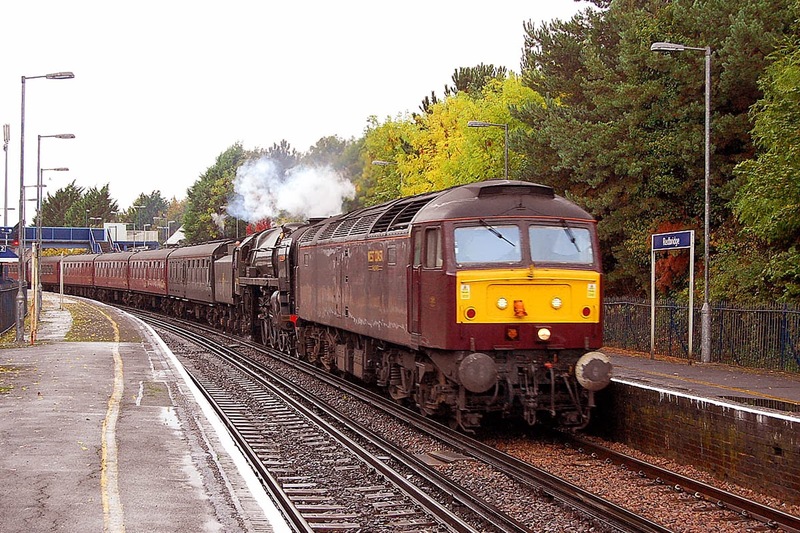 47237 + 70000 Britannia passing Redbridge with ECS for Southall on 21st October. Image by Ian Knight. 31190 departing Totton taking the Railvac away to Crediton. Image by Ian Knight. A few minutes later, 31190 is passing St Denys. Image by The Image Team. 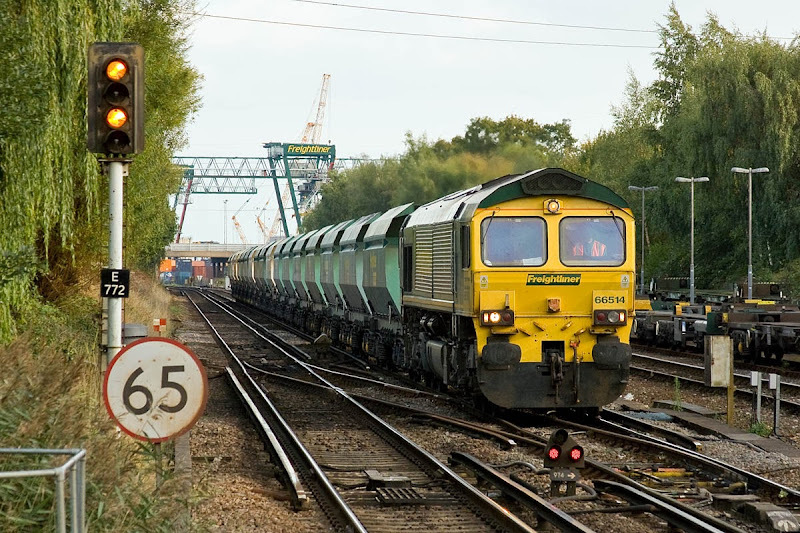 66597 Viridor has not been a regular visitor to Southampton, but is currently in intermodal service, seen here at St Denys on 21st. Image by The Image Team. 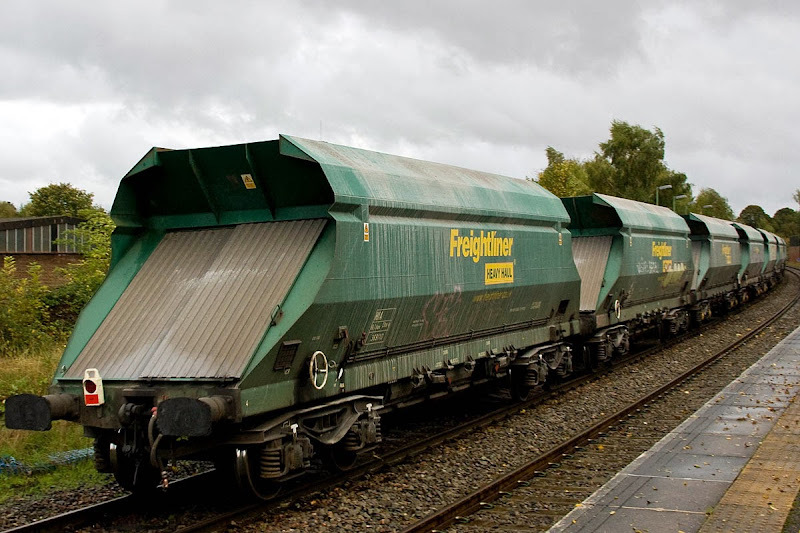 70018 was moved from Leeds Midland Road to Brush Loughborough during the week. 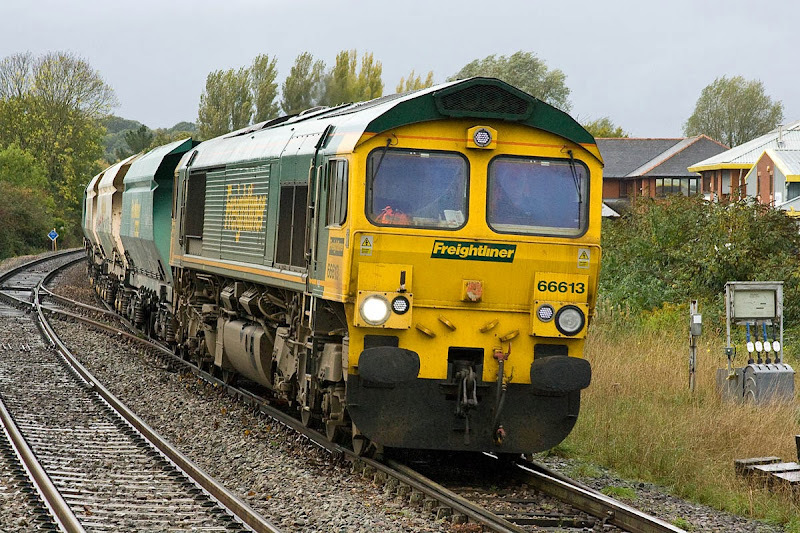 70020 (+ 70008) 4M99 16:57 Maritime - Trafford Park on 23rd, then 70008 led on 4O22 01:47 Trafford Park - Maritime, and no further workings. 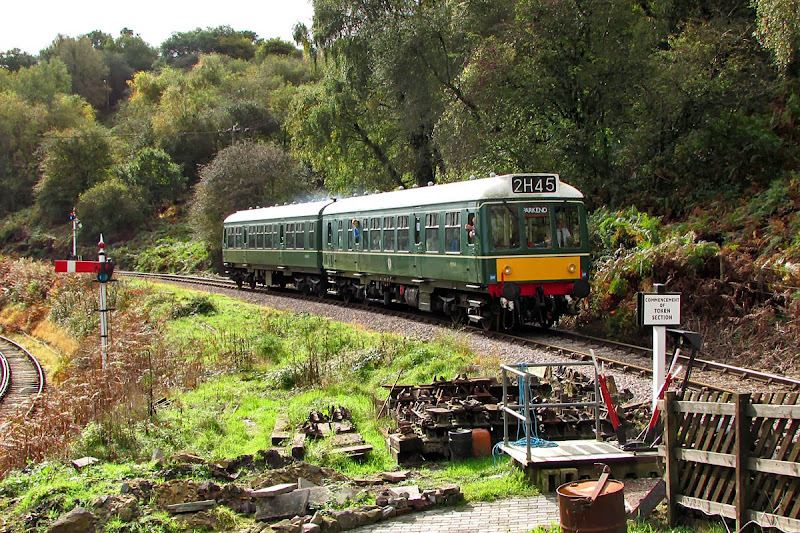 A very brief return to the Dean Forest Railway, today operated by a 2 car Class 108 DMU. The 11:00 from Parkend (56492 + 51914) arrives at Lydney Junction. 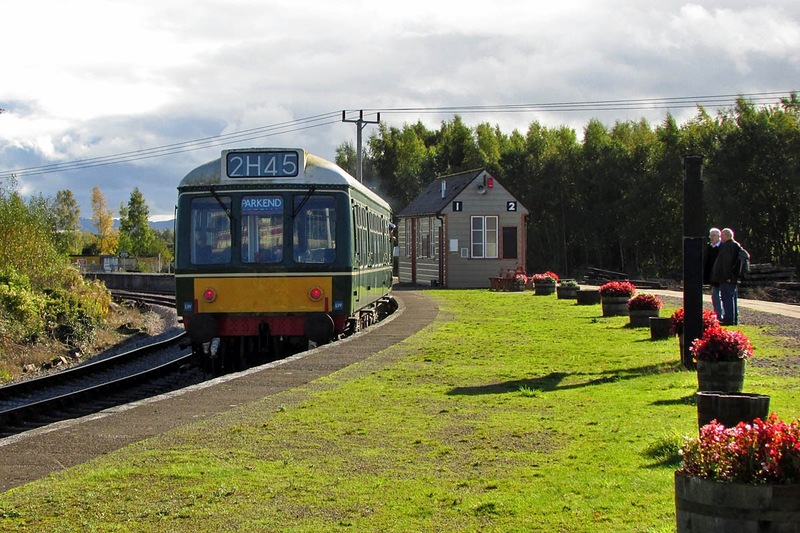 The train on one side of the island platform. 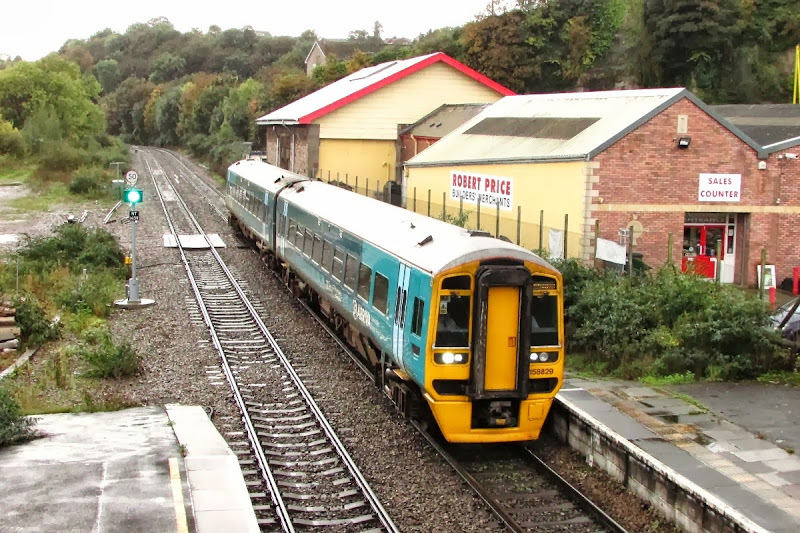 The original Severn & Wye platforn was located to the left of the DMU. Now returning as 11:45 from Lydney Jct, the train approaches Norchard. Leaving Norchard a few minutes later for Parkend. 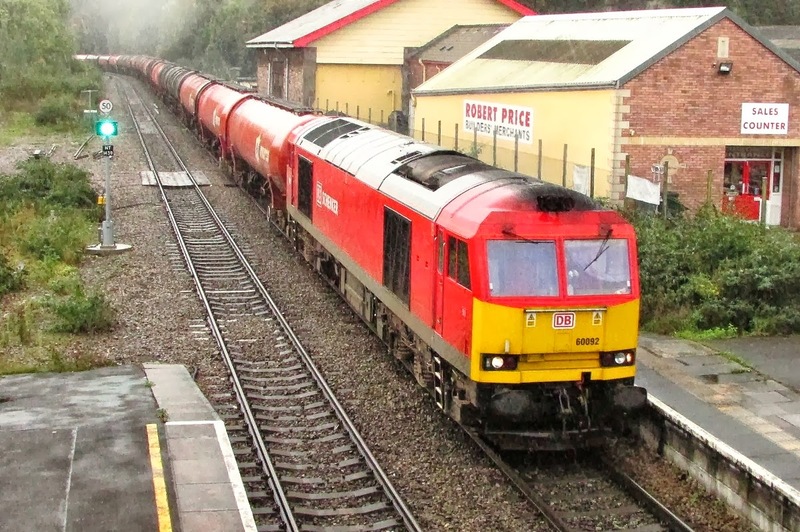 60092 with 6B13 05:07 Robeston Sidings - Westerleigh, passing Chepstow in the rain, 22nd October. 158829 with a stopping train, a few minutes later. 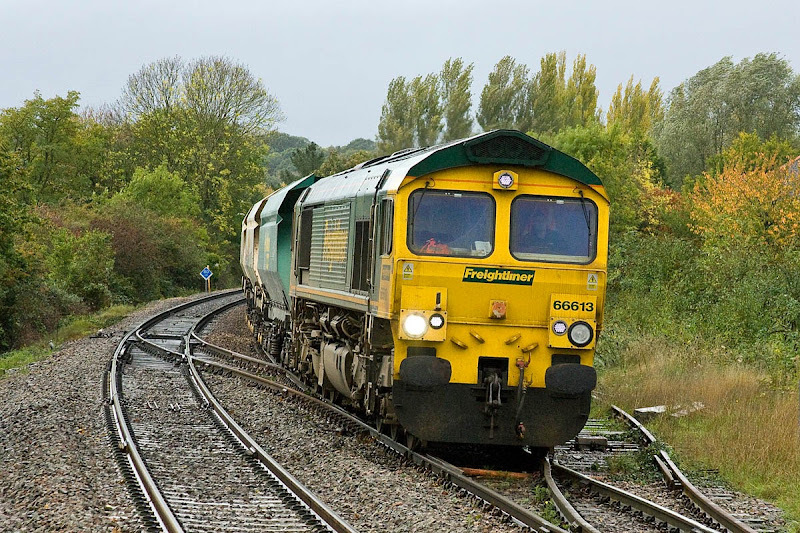 60092 again working 6B13 05:07 Robeston Sidings - Westerleigh, Lydney 23rd October. 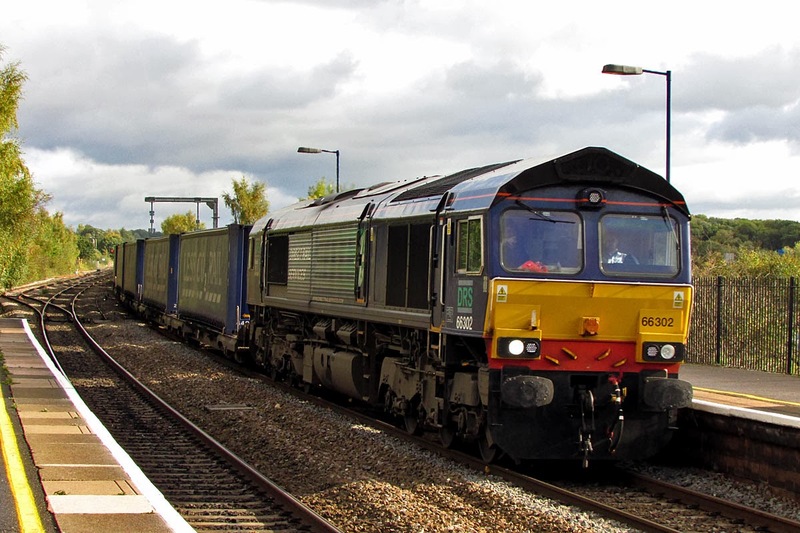 66302 with 4V38 08:23 Daventry - Wentloog, passing Lydney, 23rd October. 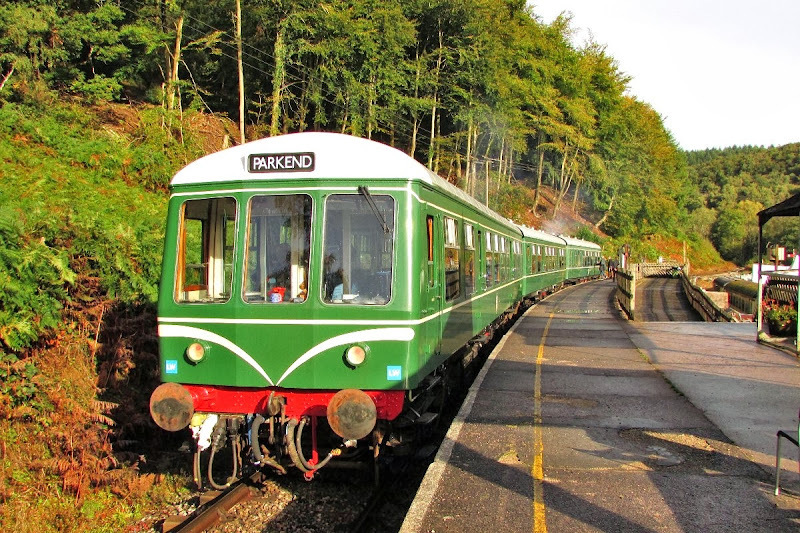 Unfortunately the planned auto-train operated service had to be changed to DMU after failure of a tube in Pannier Tank 9681, now out of service for the remainder of the season. 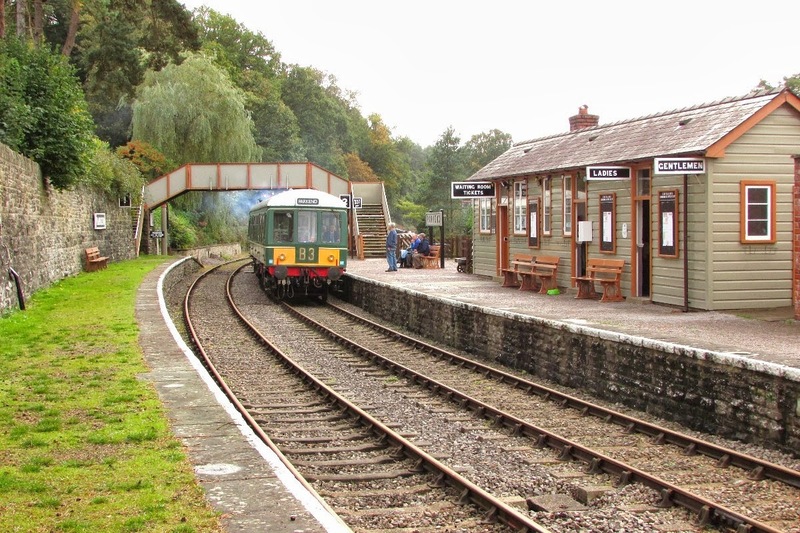 I used the DMU to access the Forest areas around Parkend, and later for a walk down the former Severn & Wye Railway access to Lydney Harbour. 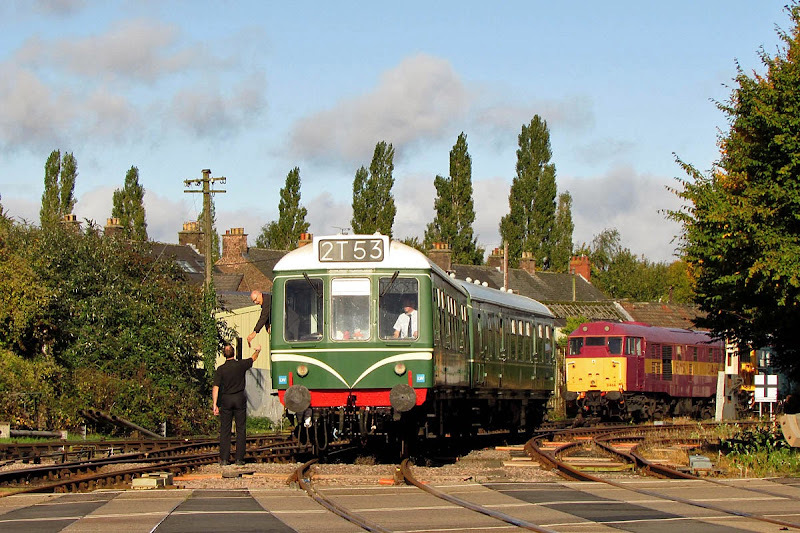 Class 108 DMU 51566 + 59387 + 50619 ready for duty at Norchard High Level. 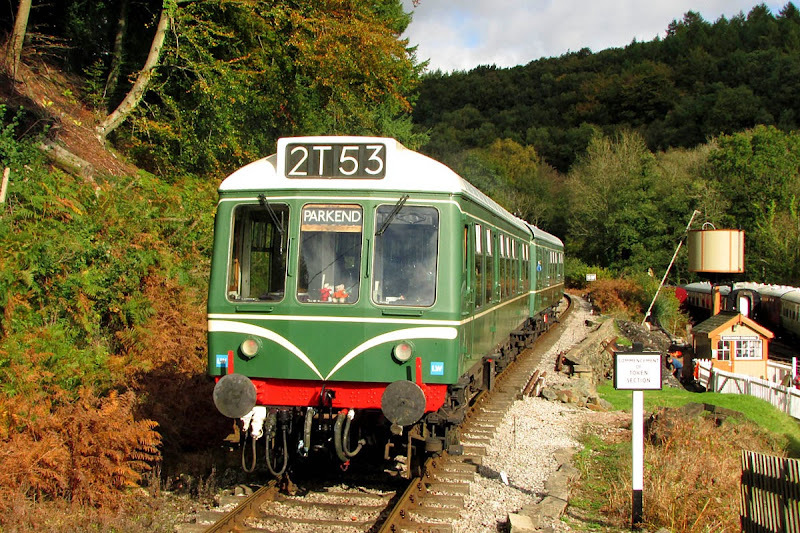 The DMU arriving later at Parkend. 73001 + 31466 at Lydney. 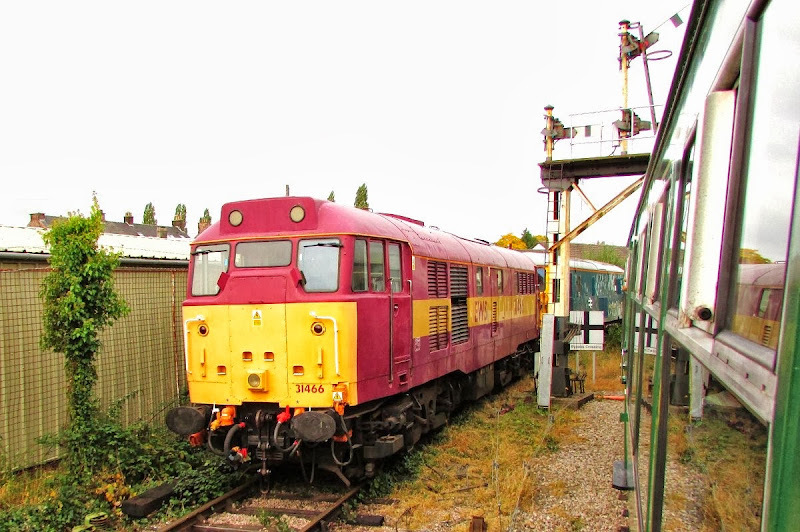 31466 of the Dean Forest Diesel Association, at Lydney. 08238 Charlie, new May 1956 and withdrawn in March 1984, restricted to yard usage at Lydney Junction. 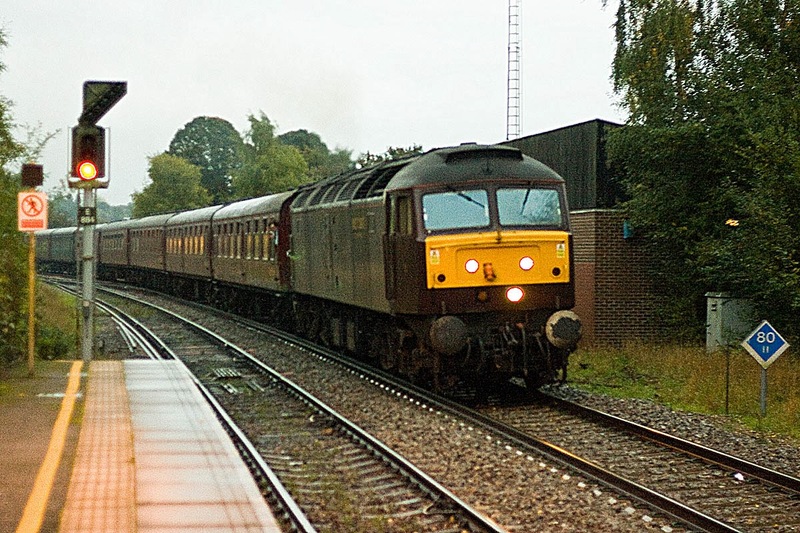 47237 with "The Dartmouth Express" at Romsey, 19th October. Sorry about image, this was an auto-focus disaster in poor light. 70000 Britannia on the rear of the train, with 158951 awaiting the road for Southampton. 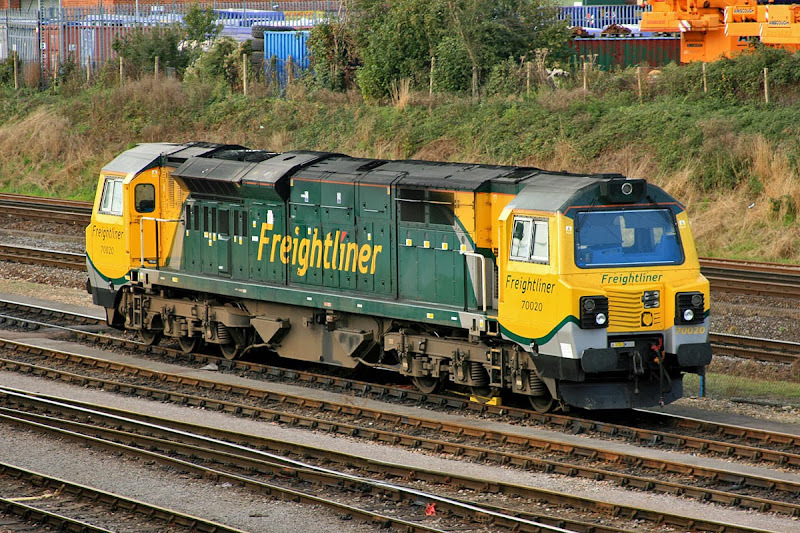 DR98922 + DR98972 passed earlier, but much more slowly, on RHTT leaf cleaning duties. 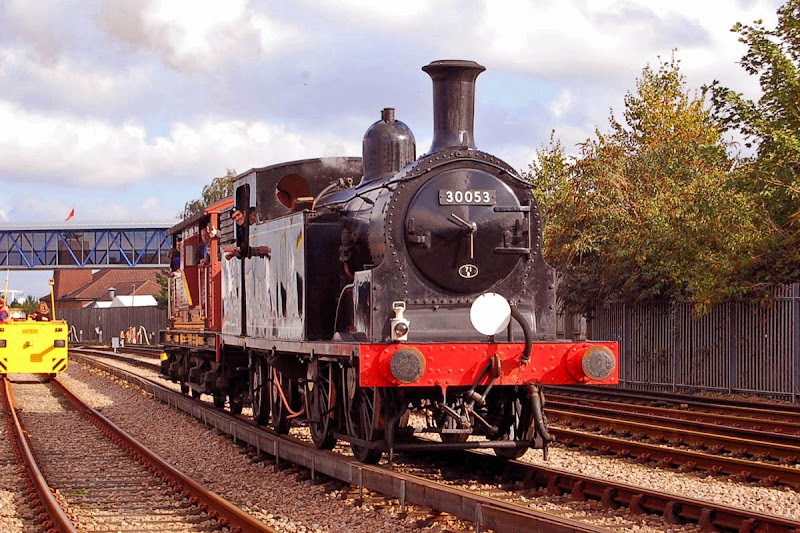 70018 has cylinder liner and seal problems, at only 497 hours - loss of water. At Leeds. 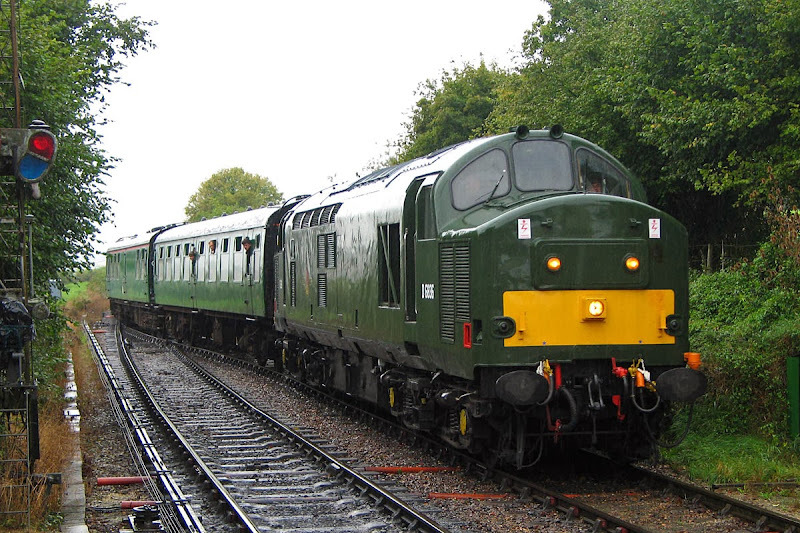 A rather rainy day for the diesel running event at the Watercress Line. There are further pictures on SkyDrive. 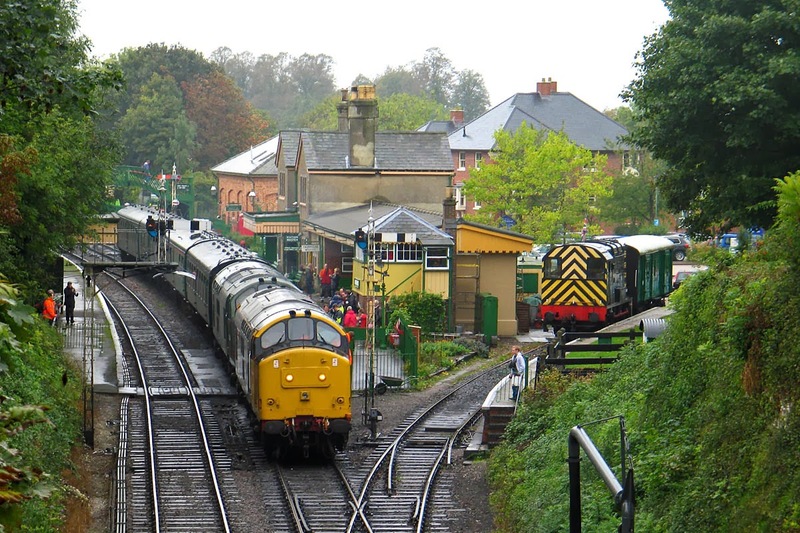 50027 "Lion" arrives at Ropley with 10:50 from Alton. 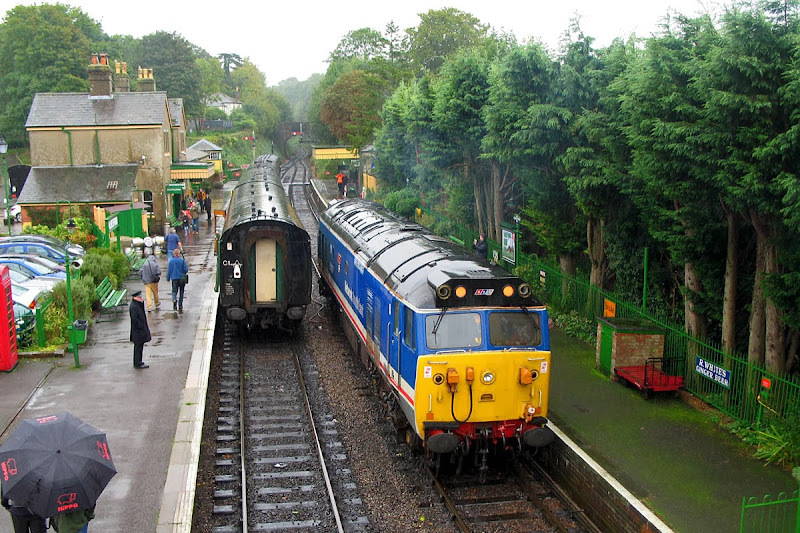 50027 runs around at Alresford. 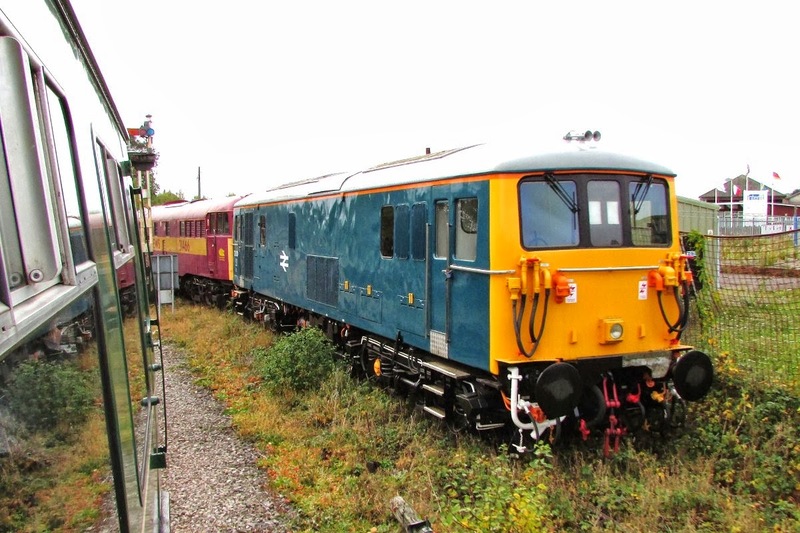 37901 "Mirrlees Pioneer" awaits departure of 12:50 from Alton. 37905 draws into Ropley with 13:45 from Alresford. 37901 + 37905 await departure of 15:45 Alresford - Alton, with 08377 on the right. 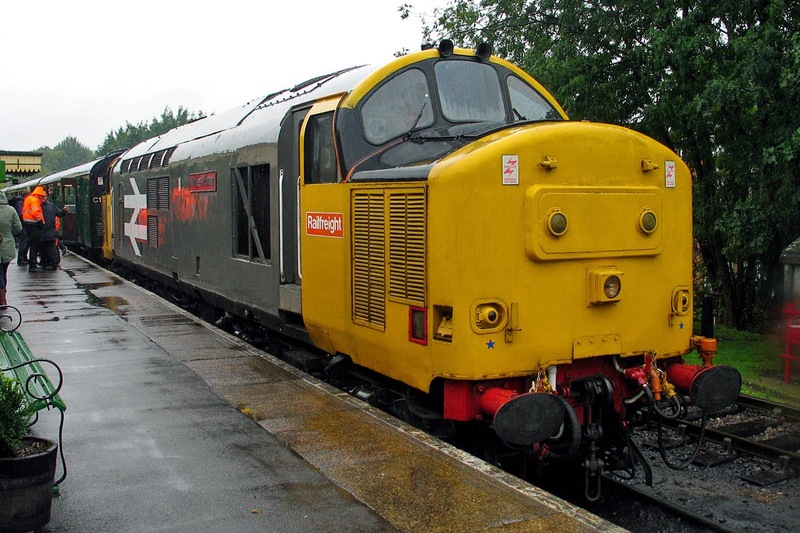 37901 should shortly return to the East Lancashire Railway. It is important to note that the two "Slugs" are very different in engineering terms. 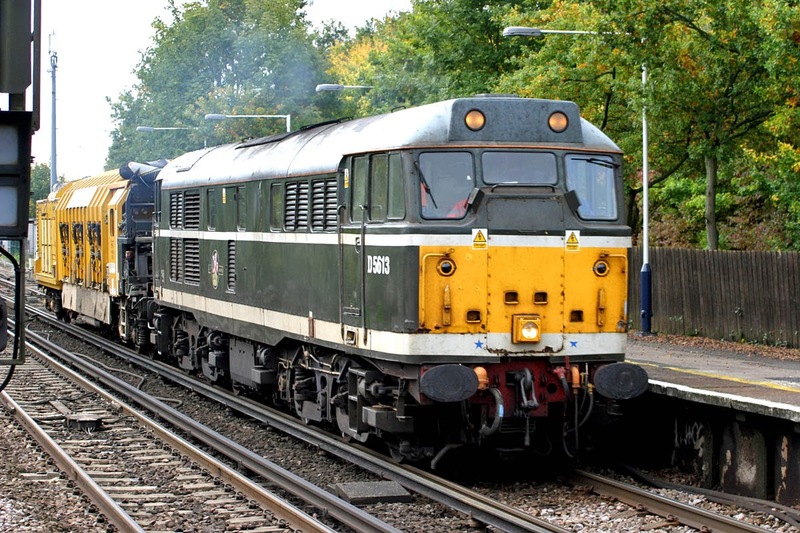 37901 was rebuilt from 37150, using a Mirrlees MB275T 6 cylinder engine (1800 bhp) and Brush alternator - both coming from parts of Hawker-Siddeley Group. The 8 cylinder version of this engine is used in Class 60. 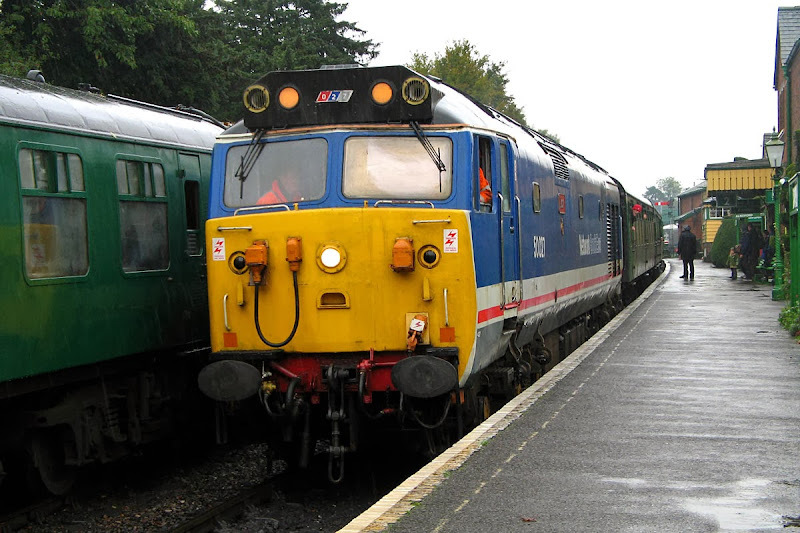 37905 was rebuilt from 37136, using a Ruston RK270T 6 cylinder engine (1800 bhp), and GEC alternator - both coming from the GEC group. 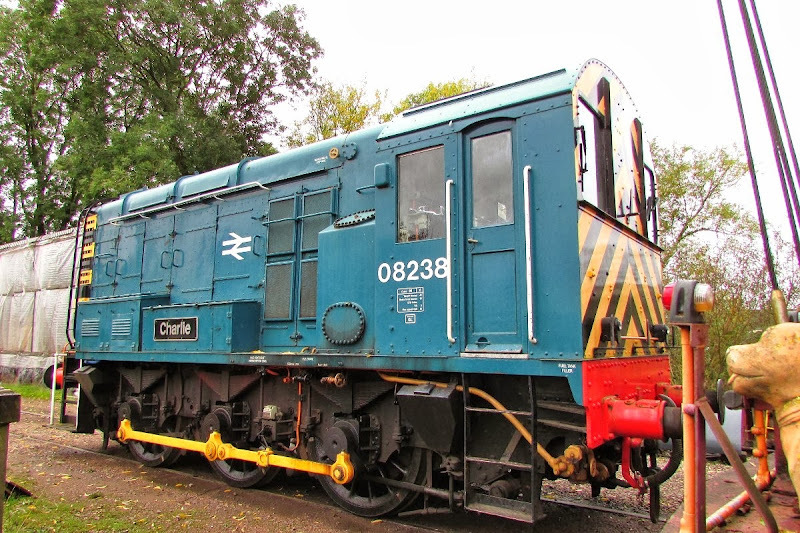 This engine has some development history in the English Electric / Ruston units in classes such as 37, 50, 56 and 58. The locomotive was named "Vulcan Enterprise". 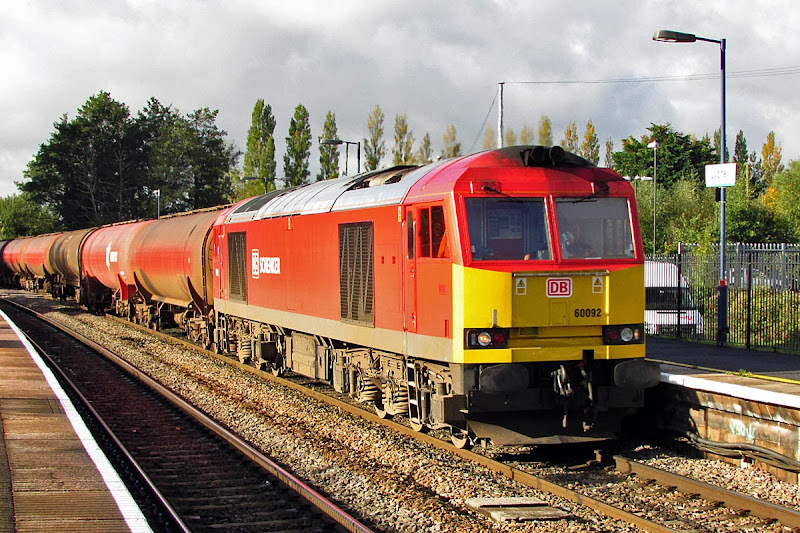 60049 with 6V41 Westbury - Eastleigh, 8th October. Image by Ian Knight. 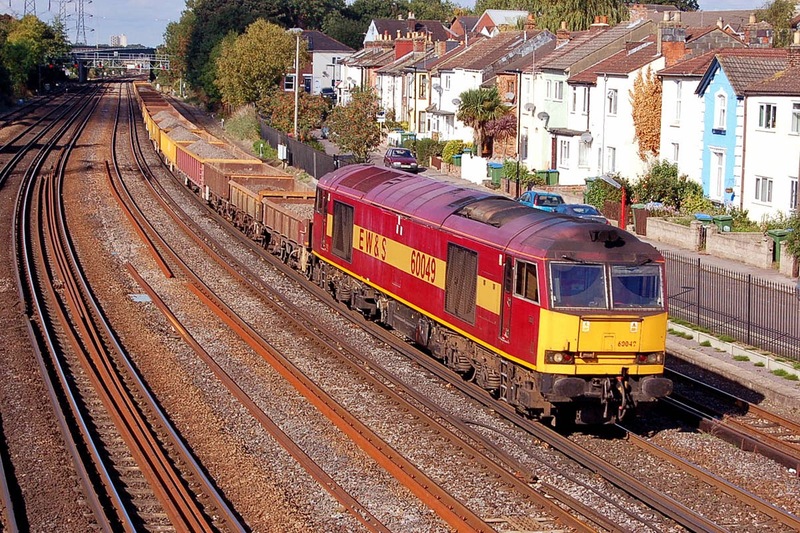 Newly formed 458534 returns from Weymouth to Wimbledon, 8th October. Image by Ian Knight. 66514 with 6O49 12:49 Theale - Wool sand empties, Redbridge 12th October. 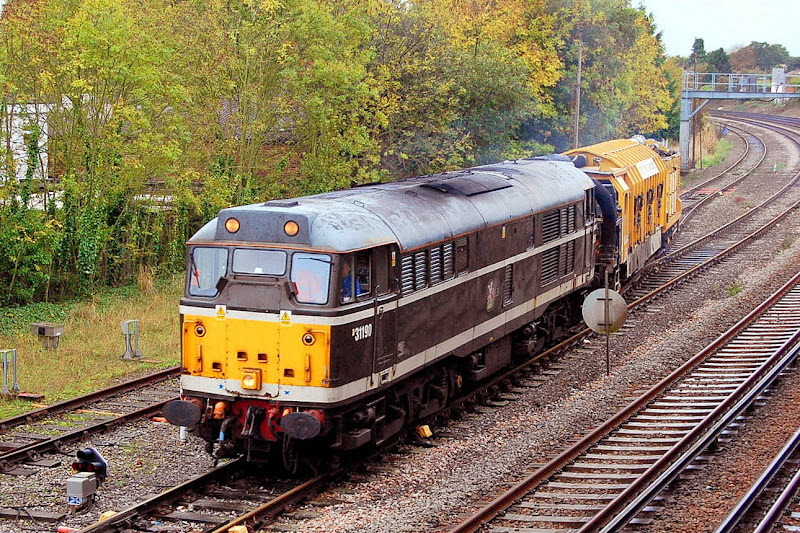 70020 at Maritime, the only Class 70 there on 12th October. This failed on its only working in the week. 70008 was working through the week, but seems to have failed near Aynho on Friday, then reported failed at Hams Hall on Saturday, awaiting removal DIT on Monday. A driver wrote: Yep, much the same software/computer failure as mine with 020. Total loss of power and auxiliaries. Rescued by an DBS shed and dumped at Hams Hall on arrival. 70017 was removed DIT on a Millbrook - Leeds on Friday morning - it joins 70018 at Leeds. 70017 is understood to have wheel flats. 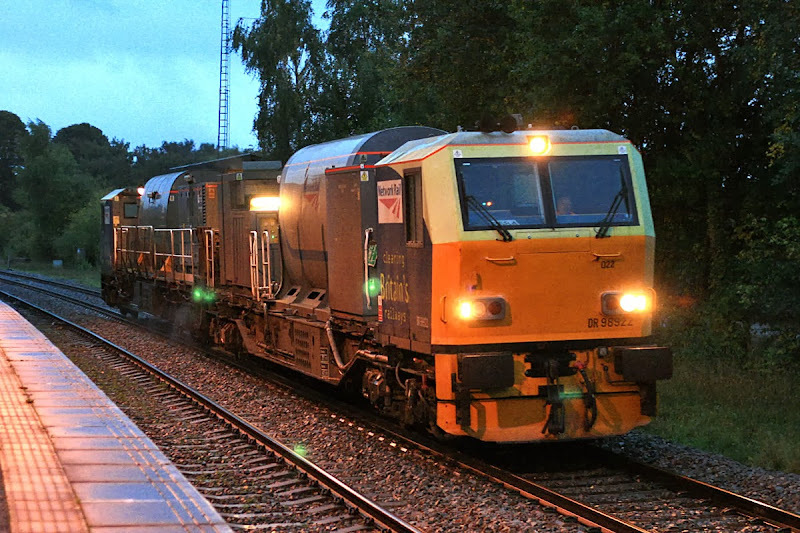 70020 seems to have had very limited work during the week, only working Maritime - Trafford Park on Wednesday evening, but it failed at Atherstone, Warwickshire, and recovered by a Class 66. Then DIT on 4O09 back to Maritime. The driver wrote: I know exactly what what was up with it, I was driving it it when it threw in the towel! Arrival in the platform at Atherstone was 01.45. All auxiliaries gone, no power, no compresses, no brake. 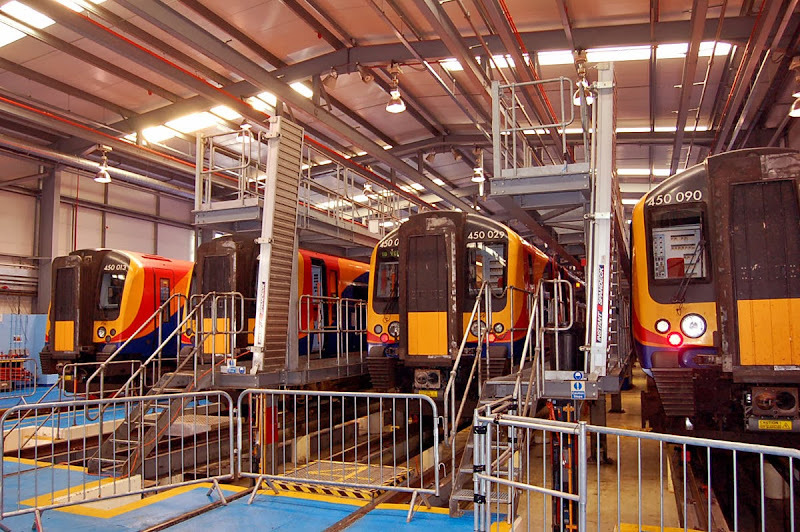 Siemens Class 450 Desiro units in their depot at Northam. LSWR Drummond M7 30053 with Queen Mary brake van - visitors from the Swanage Railway. 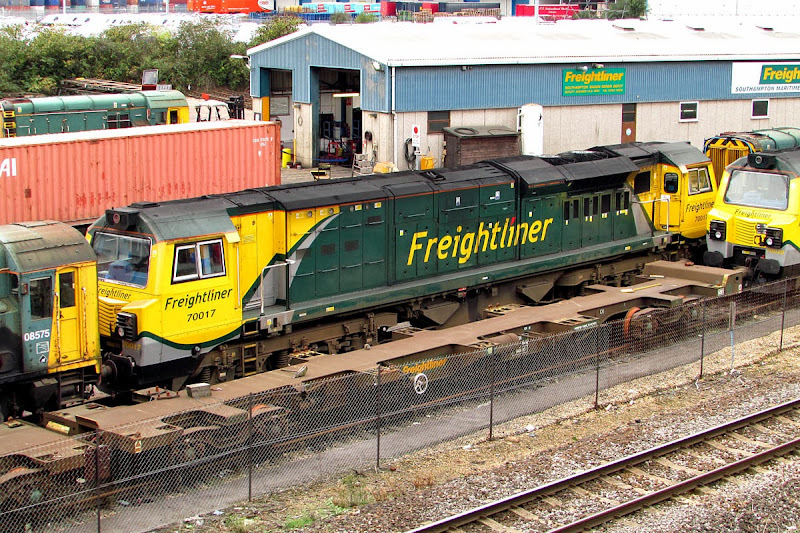 Wheel Lathe Shunter B193 giving rides at the depot. 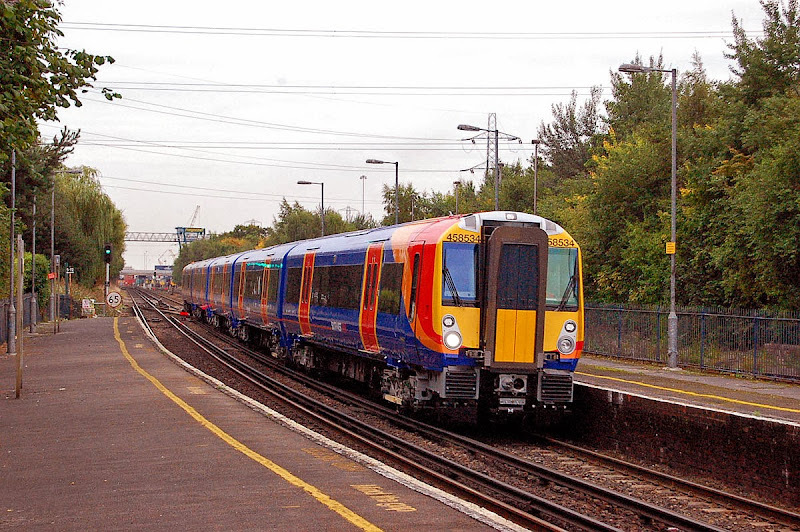 458534 at Redbridge, 5Z39 07:19 Wimbledon - Bournemouth, 5th October. 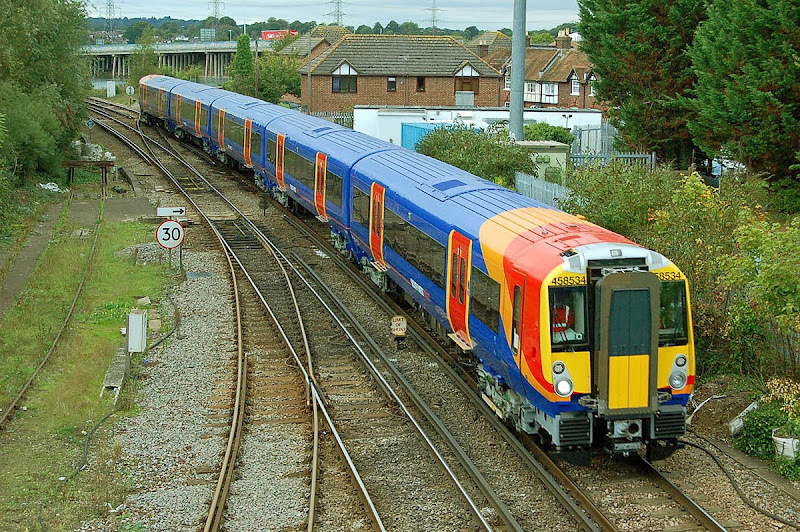 All coaches in this 5-car unit came from Class 460s, and this is the second conversion. Image by Ian Knight. 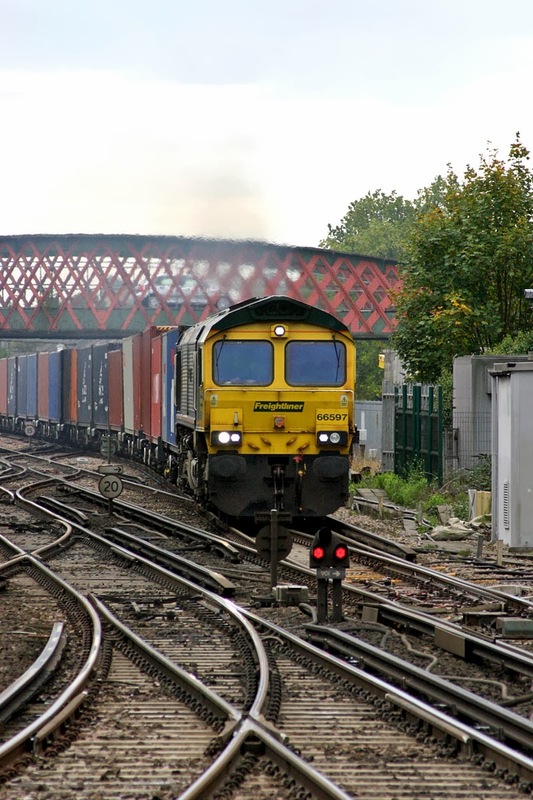 66613 6Y49 10:15 Angerstein Wharf to Wool, Redbridge, 5th October. 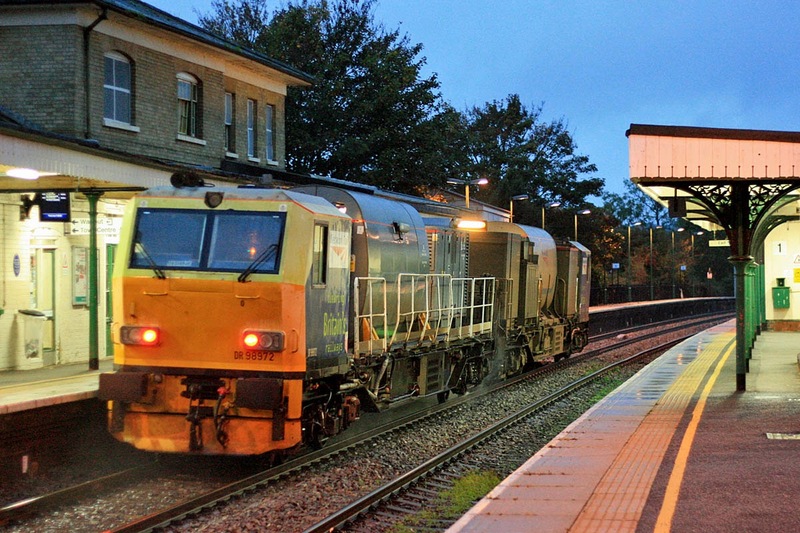 70017 is rather out of use at Maritime, 5th October. 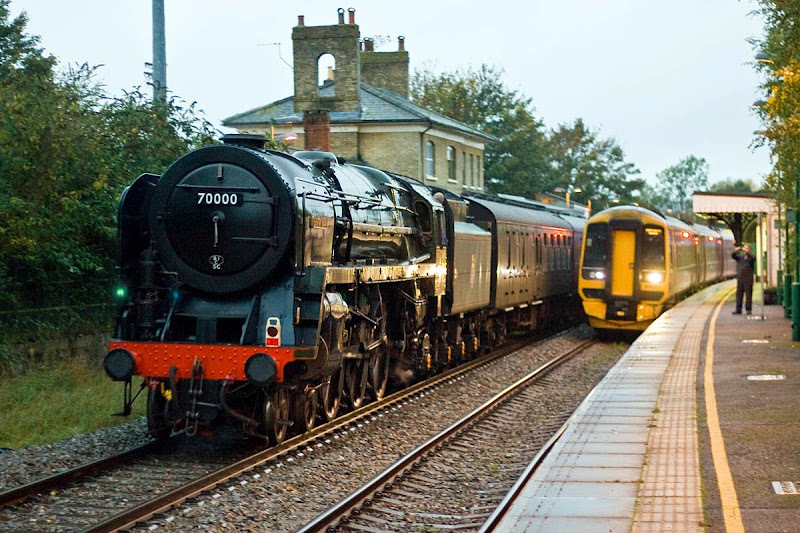 70007 and 70020 were also present, the latter not working a train since Thursday. 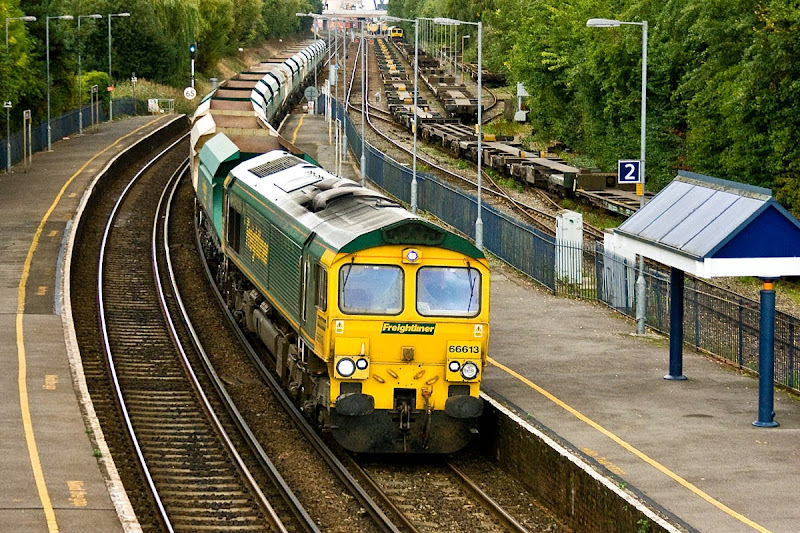 70017 continued to work between Southampton and Wentloog, but on Monday and Tuesday only. Availability of the class in September has been calculated at only 61%.